If you have any problem with your garage door weatherstripping in Vancouver, let us take a look. When weather seals are torn, we replace them. Al though this task seems to be easy, it requires great attention. Let us install the weather strips of your garage door. If they are not installed properly, the door won’t close well and you will have security problems. Aware of the importance of weatherstripping, Payless Garage Doors Vancouver responds quickly to replace them. With correct garage door weatherstripping installation, our pros ensure your door closes air tight. That’s the significance of weather seals. No matter which material you choose, the weatherstripping fills the gap between the door and jamb to ensure proper indoor temperatures. The main purpose of weather seals is to keep drafts from coming in and indoor air from escaping. But since they cover any gap, they also keep insects from entering your garage. There are several materials for weatherstripping garage door sides, the top part and the bottom side of the door. Whether you want seals with retainers or simply vinyl or rubber astragals, we can nail or glue them – depending on the type of the weather seal and door. The bottom seal tears much faster. If you notice that it’s worn, call us to replace it. 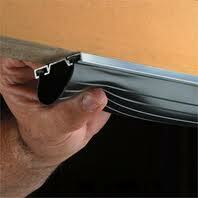 At our company, we replace Vancouver garage door weatherstripping fast. Our experts have the skills to replace and install top, side, and bottom weather seals. We recommend the ideal materials and types for your door and make sure they are installed properly. With the seals well installed, your energy bills go down and the door’s edges are better protected. These parts are small and often neglected. If you ever notice rainwater finding its way inside your garage, check the astragal. If you see that one of the four seals is damaged, get in touch with our company and let our techs replace it. Our local garage door weatherstripping repair technicians in Vancouver, British Columbia, are at your service. We have the tools, experience, and expertise to replace & install garage door weather seals properly the first time. 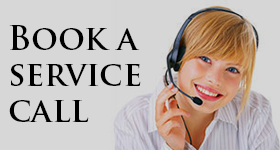 Contact us for such requests whenever the need arises.